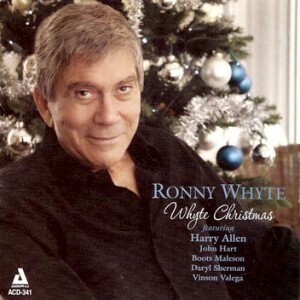 Ronny Whyte has long been rated a premiere interpreter of the American Popular song, as well as an outstanding jazz pianist. He is an ASCAP Award-winning songwriter; his lyric "Forget the Woman" was recorded by Tony Bennett. For the past two years Ronny appeared in New York City in the hit musical Our Sinatra for much of its run, as well as in the sixty city national big band tour of the show. 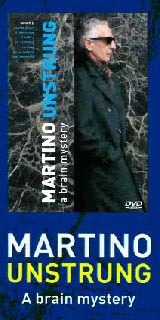 He was also featured at New York's JVC Jazz Festival both 2001 and 2002. 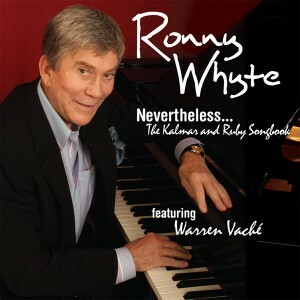 The Ronny Whyte Trio has performed in concert at Carnegie/Weill Hall, New York's Town Hall, Washington's Corcoran Gallery, and the Mellon Jazz Festival in Philadelphia. Ronny has had major engagements in New York at the Café Carlyle, Rainbow and Stars, the Oak Room at the Algonquin, and The Knickerbocker. Abroad, he has starred in Paris, Tokyo, Tel Aviv, Sao Paulo, Caracas, and Johannesburg. Ronny often makes guest appearances with symphony orchestras playing his arrangement of "Porgy & Bess for Jazz Trio & Orchestra" and other Gershwin works. In the theatre, he has played such diverse roles as Bobby in Company, Oberon in A Midsummer Night's Dream, Joey in Pal Joey, and Vernon in They're Playing Our Song. 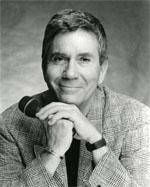 He has written and performed in Night's Work, two one-act plays with music, which marked his debut as a playwright. Mr. Whyte has recorded eight CD's for Audiophile; his CD All in a Night's Work was selected "Jazz Album of the Week" by the New York Times. His latest CD is a tribute to Bob Hope - Thanks for the Memory. Originally from Seattle, he divides his time between the New York area and his house in Milford, Pennsylvania. When not performing or writing, he is an avid tennis player, skier, gardener and gourmet cook.